Postfeminism is a term used to describe a societal perception that many or all of the goals of feminism have already been achieved, thereby making further iterations and expansions of the movement obsolete. Many feminist critics use the term postfeminist to negatively describe the renewed embrace of activities and positions that current and previous generations of feminists have deemed sexist or oppressive. The wide-ranging circulation of the term and its uncertain definition prompted scholars to study the implications of its usage. At times, postfeminism is described as a media and publishing phenomenon, or as a backlash against feminism, while at other times postfeminism is discussed as a radically new way that young women are engaging in feminist activism and theory. In her 2007 essay “Postfeminist media culture: Elements of a sensibility,” Rosalind Gill discusses postfeminism as more of a sensibility or an ethos than as a critical movement. Gill notes that the term “postfeminist” can be used as an accusation against feminist scholars whose work is seen as insufficiently feminist (148). For example, after she published Gender Trouble (1990), feminist scholar and philosopher Judith Butler noted in a 1994 interview that she was being called a “postfeminist” in a pejorative way. Elaine J. Hall and Marnie Salupo Rodriguez note in their 2003 article “The Myth of Postfeminism” that the ethos of postfeminism rests on four pillars. Firstly, support for feminism among women decreased in the 1980s and 1990s. Secondly, at the same time support for feminism decreases, an “anti-feminist” sentiment is increasing among pockets of young women. Thirdly, many young women feel that feminism has obtained its primary ends, like the right to vote, reproductive choice for women, and increased representation of women in positions of power, and as such, “for young women in the current era, the success of the movement means that [feminism] is no longer needed” (879). Fourthly, there is what Hall and Rodriguez call a “no, but…” culture whereby women do not want to be labelled as feminists but still support feminist goals like equal pay for equal work and economic independence. In this view, it is not that women no longer support feminism; rather, it is that they no longer support the connotations that feminism has acquired. We might add to Hall and Rodriguez’s list a fifth pillar. Some young women argue that feminism, because it focuses on women’s equality rather than human equality, is by its very nature exclusionary and that, therefore, a kind of humanism might be more appropriate than a re-emergent feminism. Such a politics seems to be part of a general rejection of identity politics. People who take this fifth position often state that “feminism” can be defined by its hostility or indifference to men and masculinity, and such critics look for moments when women say sexist things about men as evidence that the feminists are sexists. As well, feminists are often accused of hating men. Such a position implies that loving men and wanting equality for women are goals that are in tension. Such a position shows a false equivalency (since loving men is not the same thing as not being a feminist), and it argues that feminism can be anti-male, as opposed to anti-patriarchy, anti-oppression, or anti-sexism. Ultimately, it’s important to keep in mind the unsettled nature of the term postfeminism and how it is often used in an accusatory manner. Texts that take postfeminist positions do so because of an ambivalence towards feminism. Despite its complex and multi-faceted nature, popular understandings of feminism depict it as a singular, radical movement while ignoring its internal conflicts, complexities, and contradictions. Many scholars, critics, and activist who reject feminist are only rejecting a straw man or caricature of feminism. This simplification of feminism makes it easier to reject feminism outright. Postfeminism can be seen as a hazy middle ground between feminism and anti-feminism, supporting gender equality and female empowerment but declining a rigorous feminist critique of still-existing patriarchal norms and institutions. Butler, Judith. 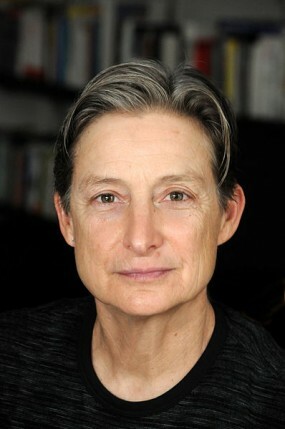 “Gender as Performance: An Interview with Judith Butler.” By Peter Osborne and Lynne Segal. 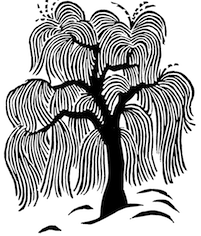 Radical Philosophy 67 (Summer 1994): 32–39. Print.